Novak Djokovic plays down reports he is pushing to create an independent players union to fight for more prize money and dismisses talks of tournament boycotts. Novak Djokovic of Serbia stretches for a shot against Donald Young of the US at the Australian Open in Melbourne on Tuesday. Djokovic tweaked his service motion to advance 6-1, 6-2, 6-4. 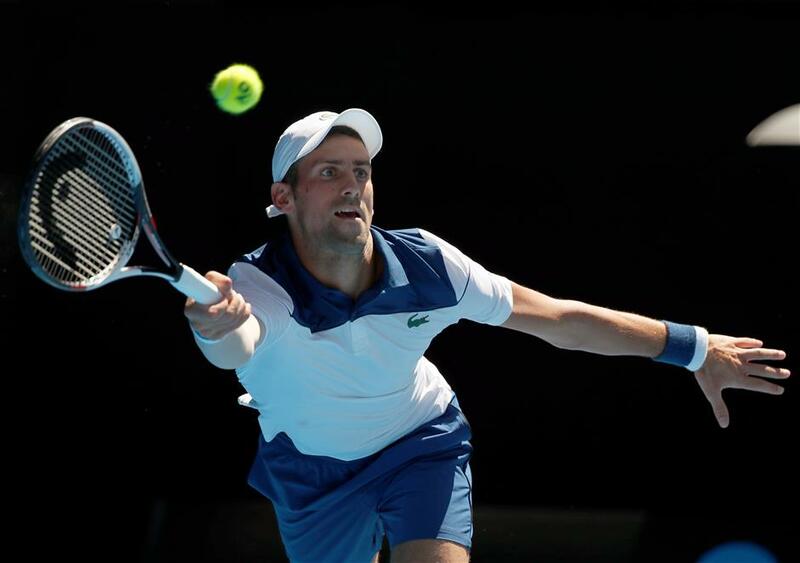 Novak Djokovic confirmed that men’s players held a private meeting on the eve of the Australian Open to discuss issues related to the ATP Tour, but denied that any talk of boycotting grand slams over prize money was ever raised. Djokovic, who is president of the ATP Player Council, didn’t specify what issues were raised at the meeting, but said media reports stating that he proposed forming a players’ union to push for a greater share of revenue generated by tournaments were largely incorrect. Most other players have declined to talk about what was discussed at the meeting, though Kevin Anderson, the player council vice president, told British media on Monday that the issue of prize money was raised. No. 4-ranked Alexander Zverev said Djokovic did most of the talking at the meeting, which was attended by all of the top male players in the Australian Open draw. According to the Daily Mail newspaper, Djokovic was said to have asked all non-players to leave the room and then gave a lengthy speech from the stage about forming a players’ union, accompanied by an Australian lawyer. On Tuesday, however, Djokovic denied that any lawyer was present or that he raised the prospect of boycotting future grand slams if player demands weren’t met. American former world No. 1 Andy Roddick took to social media to support the idea of a union. Total prize money for the Australian Open reached Australian dollars 55 million (US$42 million) this year, a 10 percent increase over 2017. The men’s and women’s singles champions will both take home AU$4 million, while first-round losers will make AU$60,000. While players at the top of the sport are making more at the grand slams, those ranked below 100 who play primarily on the lower-tier Challenger Tour and don’t automatically qualify for the majors still struggle to get by. Djokovic acknowledged that the sport is moving in the right direction on issues related to prize money, though work remains to be done.